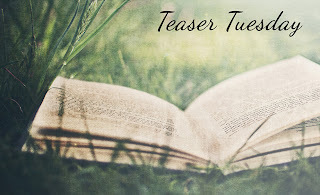 Today's teaser comes from Love Hacked: A Reluctant Romance by Penny Reid. It's her third book in the Knitting in the City series - smart and funny contemporary romances with unique/awkward/good weird characters written with a lot of ingenuity and humour. You can read my 50-star review of the book here. In that moment I was absolutely certain of one thing. Alex did not disdain social norms. rather, it was simply that, on some fundamental level, he did not know how to behave. This sounds like a fun escape.